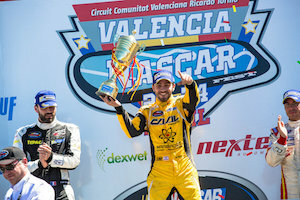 NASCAR Next driver and two-time Junior Trophy winner Alon Day will return the NASCAR Whelen Euro Series with one sole goal in mind: to win the European NASCAR Championship. 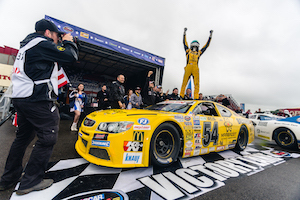 The Israeli will also aim at expanding his program in the United States, adding as many races as possible to his NASCAR campaign. 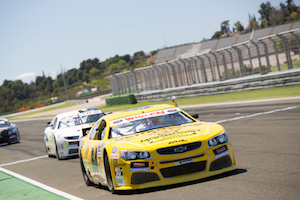 “I am really happy to be back and race again in the NASCAR Whelen Euro Series and to do it with CAAL Racing, the team I had so much success with. You don't want to change a winning team,” said Day, who finished third in points in 2016. 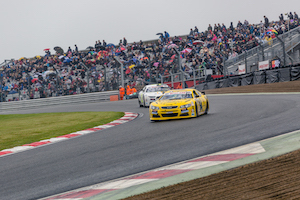 In the first two years of his NASCAR career, Day amassed 6 wins, 4 poles, 12 top-5s and 18 top-10s that place him straight among the favourites in the European NASCAR title hunt for 2017. 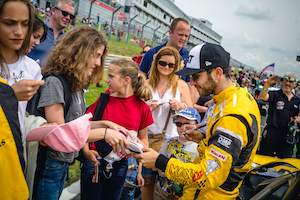 Thanks to his success in the NASCAR Whelen Euro Series, the Tel-Aviv resident became the first driver coming from outside North America to be selected for the NASCAR Next program and took part in four races between the NASCAR Xfinity Series and the NASCAR Camping World Truck Series. 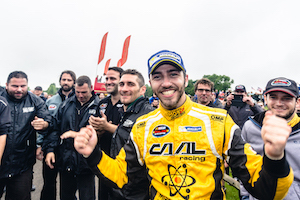 Alon Day will team up with NWES veteran Freddy Nordstrom in the ELITE 1 Division at CAAL Racing, while Arianna Casoli, Gil Linster and Felipe Rabello will drive the Italian cars in ELITE 2 in what will be a truly international lineup. 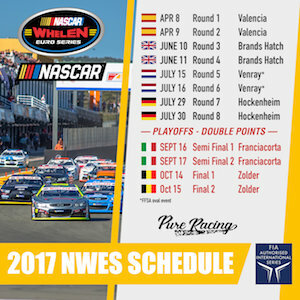 Day will be back in action with his CAAL Racing teammates at the Autodromo di Franciacorta on March 3 for the official NASCAR Whelen Euro Series Prologue to the 2017 season.